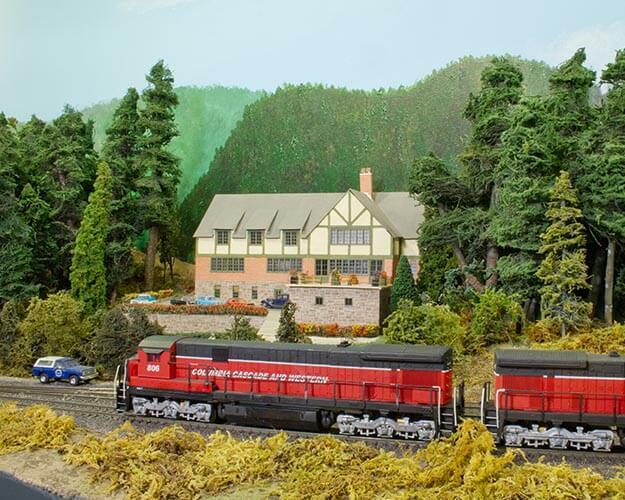 The Willamette Model Railroad Club's Columbia, Cascade & Western is a freelanced HO scale version of the railroad that could have existed if the line over the Cascade Mountains on Santiam Pass had been successfully built. The railroad connects Albany, Oregon in the west with Bend, Oregon in the east and is based in September 1979. The CC&W has its own paint schemes in both red and blue. It interchanges with the Burlington Northern, the Southern Pacific, and the Western Pacific. 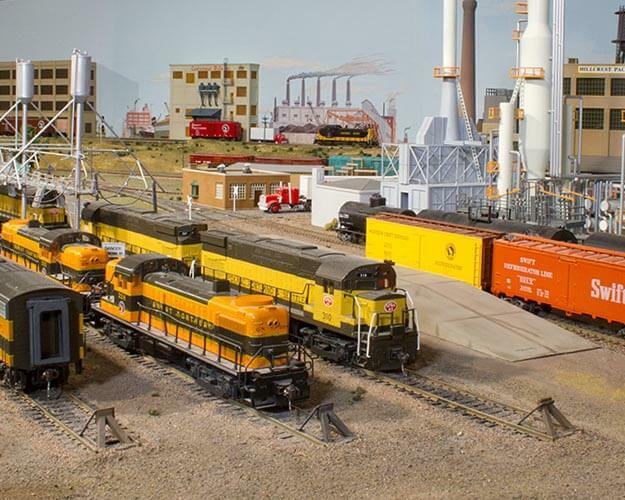 During our shoot, we focused on CC&W and BN power, so you will see a colorful variety of locomotives. The club focuses on operations and has carefully-planned sessions with a dispatcher. Many industries are served by the CC&W and the beautiful scenery makes for impressive scenes in both photographs and video. 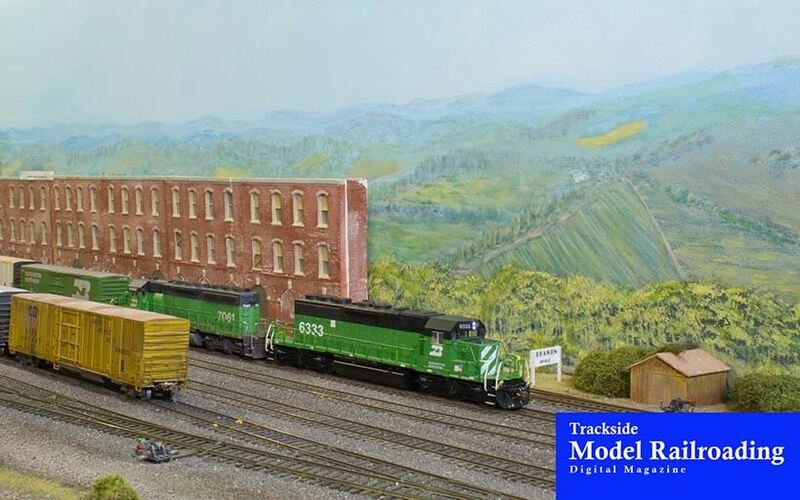 We include two maps made by the club and several CTC-style aerial images that we made of parts of the layout. Take a step back in time on Dan Wynia's freelanced 1950s-era Oregon Trunk & Pacific. 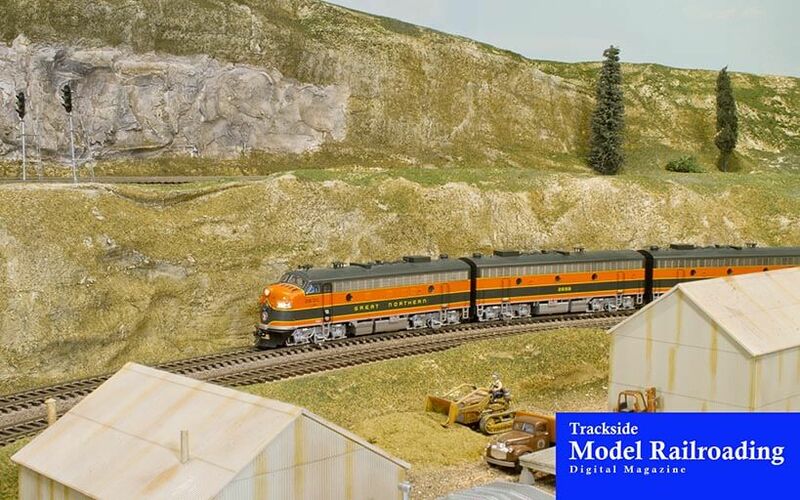 Dan models the Great Northern and the Spokane, Portland & Seattle from Vancouver, Washington east to Bend, Oregon. He runs both passenger and freight trains on the layout, operating both late steam and early diesel locomotives. He is interested in operations and designed the layout so that he could operate it on his own or with several crew members. The OT&P is operated as out and back between Vancouver and Bend with an interchange into Camas, Washington that makes for a challenge due to limited access. You will see a variety of industries represented on the OT&P and we share photos, video, and an article about the railroad. This feature also includes 360 degree images and video. We show you how to make a custom plywood load for an empty bulkhead flatcar. This project is simple and inexpensive but will take some time. 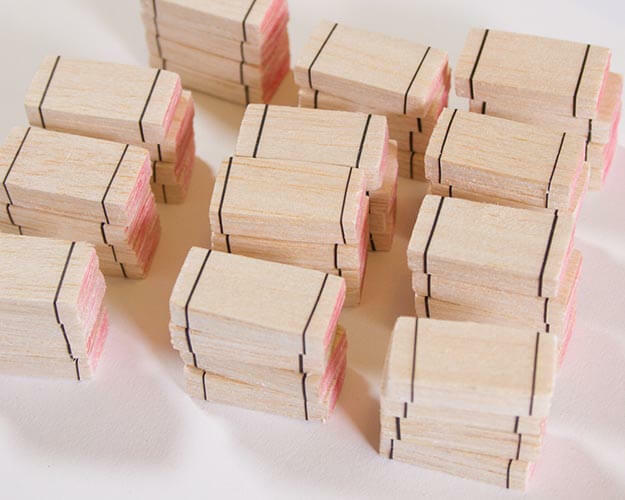 You will create stacks of plywood and then glue them into removable loads. 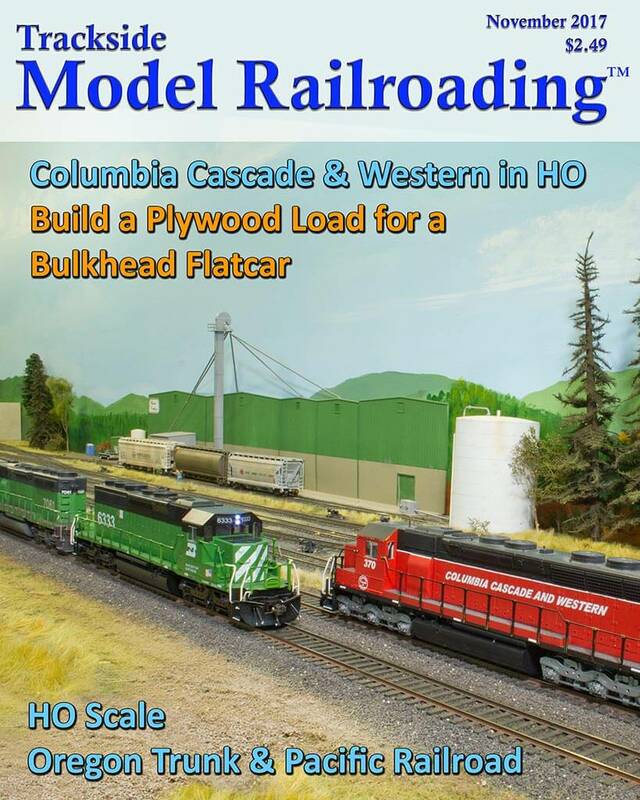 This is a good project for modelers who enjoy detailed work and want custom loads to make their model railroads more interesting. 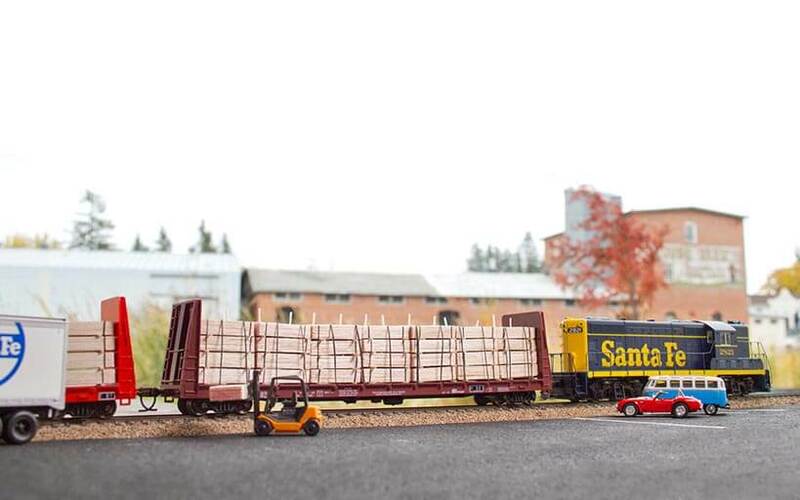 The loads can be used in operations or made more permanent and look very realistic.